Wheelchair using Santa and friends becomes most popular design on Lego Ideas platform as parents flood site to vote. 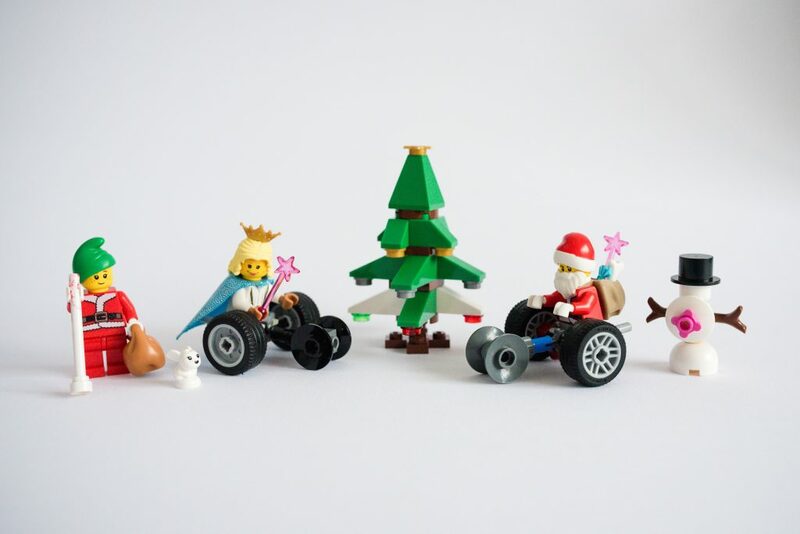 A model of a wheelchair-using Santa and Christmas Fairy becomes the most popular design on Lego Ideas platform just days after being uploaded by journalist and co-founder of #ToyLikeMe, Rebecca Atkinson. The design entitled Christmas Wands ‘n’ Wheels, which features wheelchair and white cane using mini figures quickly started gathering votes, overtaking Lego Jeep, Rocket and Vintage Tram designs to become the most popular design of the week, after parents of disabled children flooded to the site to support the idea. The move to submit the ‘Christmas Wands ‘n’ Wheels’ to Lego Ideas comes after Atkinson gathered nearly 19k signatures on a change.org petition calling for disability representation in Lego products. Despite thousands of signatures, Lego have yet to respond. The Lego Ideas platform allows fans to upload and vote for designs they would like to become reality. Despite being emailed tweeted, tagged, petitioned and numerous TV and radio appearances by #ToyLIkeMe, Lego have sadly remained silent. #ToyLikeMe hope that Lego will join the ranks of Playmobil, Orchard Toys, Lottie and Makie dolls, who have already answered the campaign call for positive disability representation in the toy box to help create a more inclusive play landscape and change perceptions of disability for generations to come. Lego is the world’s largest toy company with annual sales of 2.8bn. There are 4 billion Lego mini-figures worldwide but none with a wheelchair or other disability. Lego were criticised earlier this year by UK disabled charities after using the derogatory and outdated term ‘window licker’ to market their line of Mixel toys. 19,000 people sign change.org petition calling on Lego to represent disability. Lego do not respond. Playmobil responded to similar petition signed by 50,000 and are making toys with disabilities in response to #ToyLikeMe for release next year. #ToyLikeMe was established in April 2015 by British journalist, Rebecca Atkinson, and parents of children with disabilities who were tired of not being able to find positive disability representation in toys. The group started to makeover toys to give them disabilities and invited followers to send in their creations. The results went viral and have been shared and viewed thousands of times. #ToyLikeMe has 29k followers in 45 countries since establishing in April 2015. The campaign has received global press, TV and radio coverage.